Common Law Admission Test (CLAT) is a national level entrance exam. Clat Exam 2019 stands for Common Law Admission Test 2019.The exam is organised for providing admissions in the undergraduate and postgraduate law programmes. This exam is managed by the 19 National Law Universities (NLUs) on a rotational basis. CLAT Syllabus 2019 contains questions on different topics from English, Mathematics, General Knowledge, Reasoning, etc. Every year, many students apply for CLAT Examination. Students can check their CLAT Eligibility before the submission of the CLAT Application Form. Interested Candidate can apply for Clat Exam 2019 on or before the last date through official website clat.nic.in. 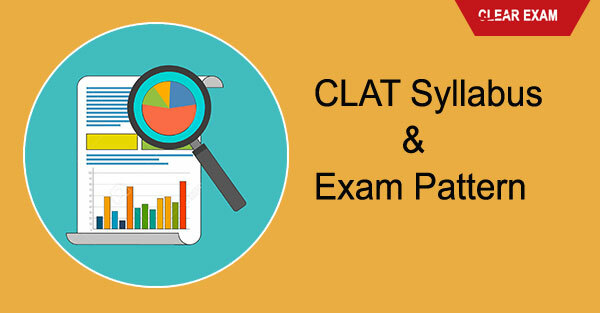 Read the article to know the complete information about the CLAT 2019 Syllabus. CLAT Exam contains only five sections General Knowledge, Mathematics, Current Affair, Comprehension and Logical Reasoning. As per the CLAT Exam Pattern, a candidate has to attempt 120 questions with time duration of 120 minutes. For every correct answer, the candidate will be rewarded with 1 mark while the students have to keep in mind that 0.25 marks will be deducted for every incorrect answer. CLAT exam will be objective in nature. The score of CLAT 2019 can be calculated by the following procedure. CLAT 2019 Marks for Offline Test = 200 - (1 x Number of Correct Answers – 0.25X Number of incorrect Answer.